This statistic depicts the payment methods U.S. consumers planned to use most often when purchasing for back-to-college in 2017. 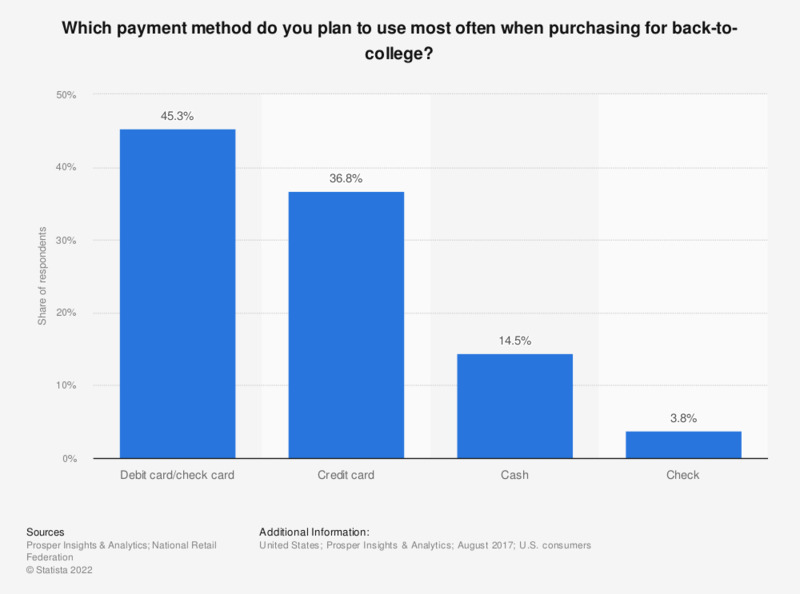 In that year, some 36.8 percent of respondents said they planned to do most of their back-to-college purchasing with a credit card. The original source does not provide any information regarding the type of survey or the age of respondents.